David Greene counsels employers, insurance companies and third-party administrators on how to best manage their Pennsylvania workers' compensation claims. David works closely with his clients to provide risk management advice. David co-authors the Pennsylvania Bar Institute’s Workers' Compensation Practice & Procedure manual that is considered the "Bible" on workers' compensation, and he teaches the Practice and Procedure course. Prior to being selected to co-author the manual, David moderated the "Tough Problems in Workers' Compensation" course for the Pennsylvania Bar Institute for 15 years. 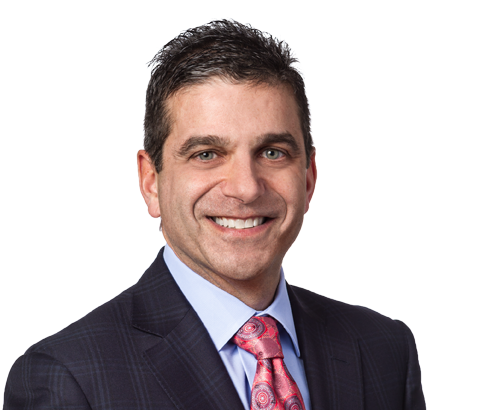 David G. Greene was invited by the Pennsylvania Bar Association to be a member of the Inaugural Pennsylvania Workers’ Compensation Bench Bar Committee. This committee consists of attorneys and judges across the state brought together to improve the nature of the statewide Workers’ Compensation practice. David has an AV peer rating from Martindale-Hubbell and has been selected each year since 2010 for inclusion in Pennsylvania Super Lawyers. Successfully prosecuted a termination petition and obtained a termination of benefits. In that matter, the claimant sustained a groin injury and underwent surgery, although, continued to have ongoing complaints and pursued medical treatment. The WCJ opted to terminate compensation in accordance with an IME opinion of full recovery. In this regard, the WCJ found the IME physician to be more knowledgeable and informed in terms of claimant’s condition as compared to claimant’s medical expert, who recently commenced treatment. The WCJ specifically took note that IME physician reviewed more of claimant’s medical records, was more familiar with the medical history, treatment and details regarding claimant’s work injury and employment history. Most crucial was the fact the WCJ was persuaded by IME physician’s explanation for the claimant’s ongoing complaints, which he attributed to an unrelated urological condition, something discounted by claimant’s treating physiatrist. As a result of the decision, the client is able to avoid liability for claimant’s ongoing medical treatment, including medications, and is not responsible for reimbursement of counsel’s litigation costs which total nearly $3,000. Once the decision is final, the client will be able to pursue a sizable supersedeas reimbursement sum for medical benefits paid out over the last year. Successfully prosecuted a termination petition for a large trucking company where the employee, with a significant pre-existing condition, sustained an aggravation of the pre-injury condition while working. When the IME doctor originally did not find the employee to have recovered, David obtained records from the employee's pre-injury condition which allowed the doctor to find, and the WCJ to conclude, that the employee's problem had returned to baseline. The demand to settle was $180,000. The decision ended the employer’s responsibility to pay weekly indemnity and medical benefits and entitled the employer to significant supersedeas fund recovery. Successfully defended a Specific Loss Claim where the employee alleged that his work related leg injury resulted in his becoming more prone to infection from his pre-existing diabetes. Medical bills were in excess of $4 million because of lengthy hospitalizations. Specific loss claim was for about $250,000. 1.25.19More Impairment Rating Evaluation Developments-Partial Disability Credits Remain! MV Transportation v WCAB (Harrington)(Pa Cmwlth 2010). Case changed the way Utilization Reviews are filed and saved employers and insurers thousands of dollars in the process.